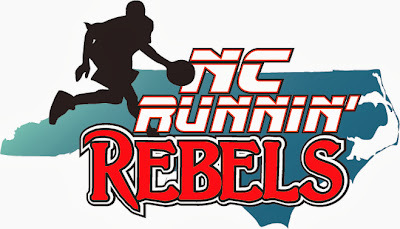 BASKETBALL SPOTLIGHT NEWS: Basketball Spotlight and NC Runnin Rebels Present The "Carolina Collision"
Basketball Spotlight and NC Runnin Rebels Present The "Carolina Collision"
Basketball Spotlight has teamed up with the NC Runnin Rebels to present the Carolina Collision. We are excited to be making our second trip to North Carolina and working with a class organization as NC Runnin Rebels. This tournament should attract the top teams in the Southeast Region and give us a great chance to see some new talent. Registration coming soon!